Uber Driver and CEO/President of Unleashed, LLC. Ippei boasts over 11 years of experience in travel and taxi industry. As a CEO, he has built, managed, and executed the operations of TaxiFareFinder since 2007. He has partnerships and relationships with major taxi, rideshare, and other travel-related companies. 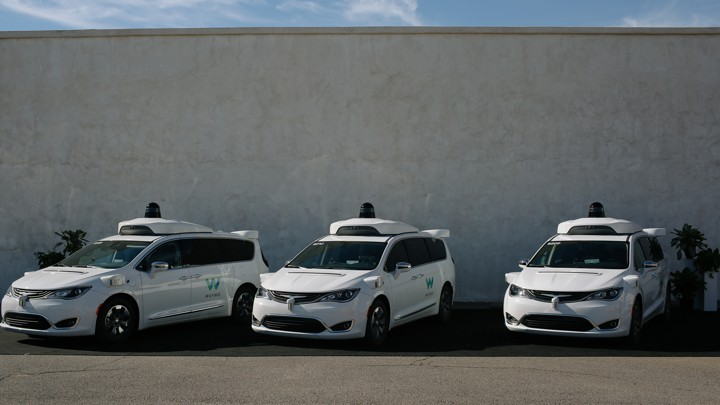 Waymo’s self-driving car unit officially launched the first commercial driverless taxi service in a roughly 100-mile zone across four Phoenix suburbs. The service, called Waymo One, will operate via an app similar to those used by ride-hailing companies such as Uber and Lyft, and will include a human driver behind the wheel to intervene in the event of an emergency. Here’s what it felt like when The Atlantic’s Alexis Madrigal went for a ride in one of Waymo’s fleet of Chrysler Pacific Hybrid minivans. Pricing for Waymo’s around-the-clock taxi service is in line with that of Uber and Lyft: A 15-minute, three-mile cost of $7.59, just above the $7.22 offered by Lyft. Producing revenue is a strategic milestone, putting Waymo ahead of its U.S. rivals. Waymo's driverless taxi to launch next month!